Edward Shukovsky, D.M.D. and our entire dental team are proud to offer Caries Management by Risk Assessment (CAMBRA), the cavity prevention system developed by Carifree. As the number one chronic disease in youth, tooth decay is a serious matter that needs serious treatment. Fortunately, the CAMBRA system has been shown to decrease cavities by up to 74%, offering you an effective preventive solution to your general dentistry needs. The Carifree system is both a screening test and a preventive treatment. First, you will complete a questionnaire that asks various dental questions relating to your diet, hygiene, genetics and more. The purpose of the questionnaire is to assess your potential risk of developing new cavities over the next year. Then, we will perform the Carifree swab test to measure the amount of bacteria on your teeth, which allows Dr. Edward Shukovsky to see your risk level of developing cavities. If you prove to be at a high risk, you may be given professional treatments or products as well as recommendations that can help you adjust your habits and help to stop the decay before it develops. Ultimately, CAMBRA can help to identify cavity risk so that the affected areas of your teeth can be treated with preventive measures now – before cavities may develop and cause very serious dental problems later. 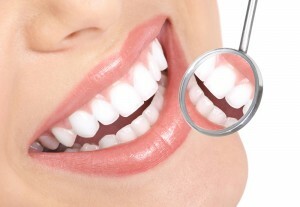 Our goal with the Carifree cavity prevention system is to help you preserve a healthy mouth and strong teeth. Through CAMBRA, Dr. Shukovsky assesses the patient’s unique risk factors for decay and develops a custom treatment plan to lower their future risk. Basically, it allows us to make a prediction of problems that are likely to develop – and since dental decay cannot be completely stopped by simply filling cavities, this system can go a long way toward staving off decay before it even starts! If you have any questions about the Carifree cavity prevention system, or would like to learn more about our dental options, contact us today.